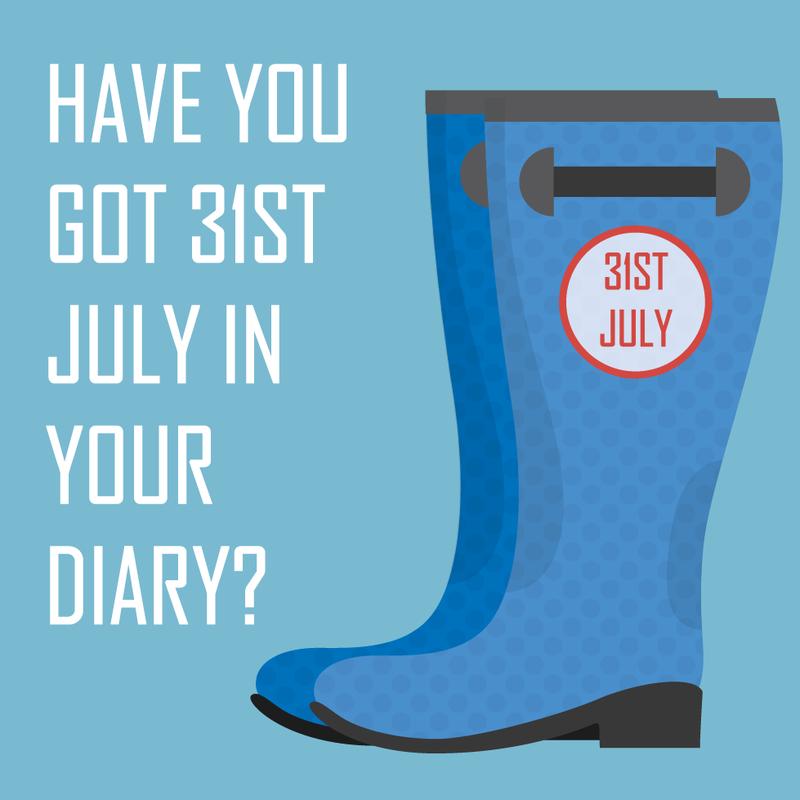 Have you got 31st July in your diary? We may all have put this matter to one side, filing the reminder letter in the unshrinking in-tray, but staying on top of our taxes is vitally important to all small businesses and those who are self employed. The key is to not fear them or forget them! I know you are busy, time so often our enemy and much better spent delivering our goods and services, but time has to be taken to keep our business affairs in order and avoid any nasty penalties. And if you don’t have the time, engage with someone who has both the time and the expertise. AND if you paid more than £1,000 tax on 31st January 2017, you may have more to pay by 31st July 2017. 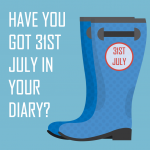 How do you know if the July 31st deadline is applicable to you? Also, if you have rental income or large amounts of investment income such as dividends, you may also be affected. There is further information on the gov.juk website, or if you are unsure talk to your/an accountant. If you haven’t already completed your tax returns, don’t panic! You can still avoid HMRC’s late filing penalties just start taking action now. If you have already entered these into a spreadsheet or accounts software, such as QuickBooks Online, well done. 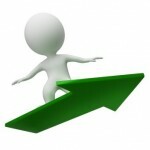 It will make your life easier, and you will have a better handle on how the business is doing. And if you would rather have help making sure you are declaring everything and claiming all you can, call me and we can get things sorted. Business Advice from Berkshire – What will make the difference? In many businesses the most precious asset is the staff. Without good, knowledgeable, dedicated staff you cannot expect to have an outstanding business. What do you put in place to ensure your business is the best it can be? It may be something as simple as a headset for the phone so that staff can easily make notes while talking to prospects and customers. This also means they don’t get a crick in their neck and are happy to keep working. Another area that can make a difference is knowledge. Are your staff fully trained to do what you are asking them. I recently spent a day in Somerset with an experienced member of staff who felt she was not using her accounts software to the full so the business hired me for a day’s consultancy, including the cost of travel. They realised the benefit of using what they had better, rather than being average and struggling on as they were. I am often asked to work one to one with a firm as they ‘got the software some time ago but never had any formal training’. By the end of the day they kick themselves when they realise what they could have been doing and the time they could have been saving. All it took was a small investment to quickly get returns that would last them for many years. Even if they changed the software, they can never lose the skill and expectation of what can be achieved. As you know, I am a great believer in training and would ask you include it in your budget. You wouldn’t give someone a ball of wool and needles and expect them to knit a jumper. Even if they knew how to knit, they would need a pattern to follow and some guidance as to the expected shape and size. How often do you request something from your staff without giving them the skills and full picture of what is expected? What can you think of that can make the difference between being an average and being a good supplier to your customers – and your staff? Remember, you are also staff of your business so this applies to YOU! Business Advice from Berkshire – I’ve got round to it – when will you? There are some things that sit towards the bottom of my ‘to do’ list as I know I ought to do them so won’t actually remove them. They won’t make me instant money nor will they, on the surface, cost me money by not doing them, so why don’t I choose to do them? Sometimes it just takes will power to go ahead. 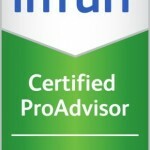 I have been training QuickBooks since 2004 and been listed as QuickBooks Advisor for many years. Last year they bought out an accreditation scheme so you could take an exam, and become a ‘certified’ version. I downloaded the course material, read it through, decided it was fine as I knew and taught most of it, but never did the exam. 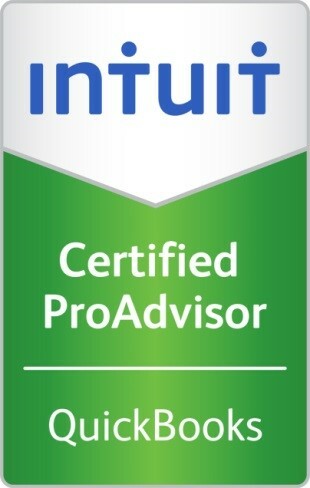 This year they have also bought out an accreditation for their On-Line QuickBooks so, as I am on the stand next to Intuit – authors of QuickBooks at The Business Show at Olympia, I thought perhaps I ought to go for it. I am glad to say I passed both exams to a high level so can now be one of their elite team. The only question now is why didn’t I get round to it before? I have done my personal tax return, I have done my VAT return, how about you? Are there jobs that you don’t fancy that are not time critical yet but you will feel so much better when they are done. It may be they were part of this year’s New Year Resolution. There is still time to complete it before the end of this year. Go on, take the plunge and share with me what you have or will achieve over the next month. 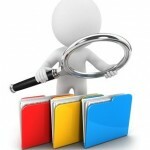 Business Advice from Berkshire – What are you hiding ? Do you sometimes wonder why things are not going to plan? Do you have a plan? 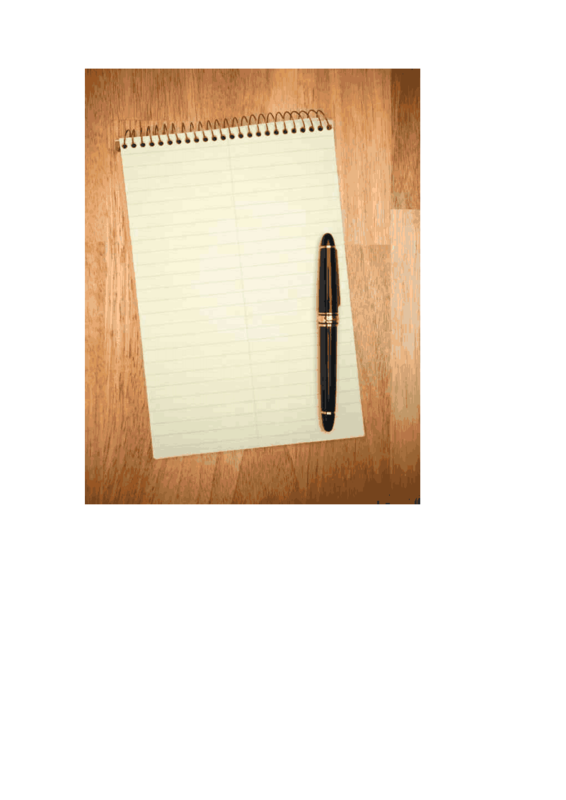 If I gave you a wipe board and asked you to draw up where you were advertising, where your leads were coming from, what business you were getting from these leads, and what leads you were getting from this new business, would the board be big enough? So, having drawn up what is actually happening, how does this compare to you plan? Sometimes doing this simple exercise highlights where assumptions have been made, where links are missing and where you could do better. Recently I was asked how my Finance for Business Owners courses were selling. Not as well as I had hoped was my answer. I then did the exercise above, and guess what, I found out why. Having set up the details on several course sites, I had not set the course to ‘Live’. It is now on Eventbrite, with dates, and the ability for customers to pay. The next thing to do is make sure I tell people! Another stage I was falling down on was referral business. I had good intentions to contact course attendees, but intentions don’t make things happen, actions do. I have contacted those I taught last month to ask them for feedback. 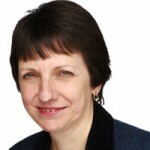 The feedback included “Penny’s presentation was very practical with anecdotes relating to real situations.” And “I found it to be extremely helpful and gave me confidence when I provided training for our client.” This is from a firm of Chartered Accountants in Cornwall. Do I want lots of referral business in Cornwall? I do already have one client down there. But what it did mean was I could pass the contact details on to a firm of Accountants in Kent who were asking about my QuickBooks for Accountants course. 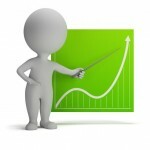 It is good to have an excellent product or service, but even better to tell people about it! That is the bit that makes the money. Just make sure you are charging enough and not just doing it because you enjoy it. See, I had to bring figures into it somehow. Advice from Berkshire: Doing it is not as bad as you think! What jobs do you have that you keep putting off? What will it take to make you do them? All of us have something where the thought of doing it is worse than the act itself. Business owners often put off doing the tasks that they believe are not why they went into business. For some this may be as simple as changing the ink in the printer, for others it could be chasing outstanding invoices, for me it was raising my presence on the internet by putting videos on YouTube. I knew it needed doing, some years ago I went on a very good course that showed me all the way through from researching what I should focus on, to filming, to uploading onto YouTube. I did one ‘film’, struggled with technology so put off doing any more. 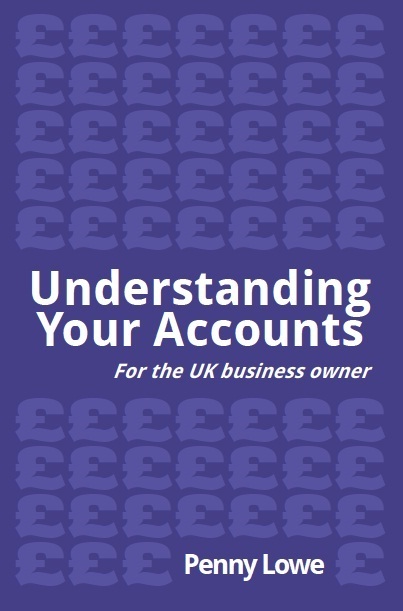 Earlier this year I did another to promote my book ‘Understanding Accounts for the UK Business Owner’ (www.understanding-accounts.co.uk) but then stalled again. I was happy with content, happy with filming but didn’t want to waste my time if I couldn’t upload it. Yes, you know what I am going to say next. Keeping your books of account up to date are just the same. The thought is worse than the deed. Doing it little and often means it is not that giant intimidating you and causing you to be like a rabbit in the headlights and stand there immobilised. Technology has moved on. If someone can show you what to do each week, and after several weeks you realise that it is not as bad as you thought, you can then keep doing it. You then start to see the fruits of your labour. Keeping on top of customer debts, planning your cash flow, seeing which activities within the business are bringing in the money and which are costing you. I was training a dentist last Friday and I suggested having a heading called ‘don’t know’ so if he met a bank payment he didn’t recognise he could park it and come back to it later rather than having an excuse to abandon his work. Who will you choose to help you get started? Wellington Consulting offer private and very small group classes on Finance for the Business Owner. If you compare the cost of a course with the extra profits you can make as a result, you would be making a wise business decision to come along. Contact us at info@wcon.co.uk to book your place. The courses are mostly held in Wokingham, but if you would like me to travel to you, I am happy to do so, providing you cover the costs. Yesterday I had an enquiry from Truro in Cornwall today I am in Croydon and tomorrow in London. 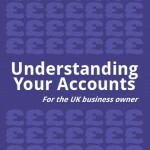 Thursday I have a course in Wokingham and Friday I will be doing accounts work – and replying to emails. Further filming may have to wait till Saturday, but I now know that I can do it. 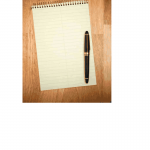 Business Advice from Berkshire – Would you accept Cash ? And not put it through the books? With all the current discussion concerning tax evasion and tax avoidance there are still grey areas. You may say that the example above is clearly evasion i.e. personally pocketing money which correctly should be accounted for by the business and tax, and possibly VAT, paid over to HMRC. What if the cash received is for something other than you usual business activity. An electrician takes some rubbish down to the tip for a neighbour and gets paid for it. Is that taxable income? If he trades as a sole trader, all activities should be included in his tax return – so yes. But is this fair? If you are sticking to the rules, fairness does not come into it. The rules say that international firms can recharge for services within the group which then means there may be very little income left to charge under the UK tax regime – is this fair? How well do you sleep at night? Does it matter what others do if you are happy with your decision and any consequences? Using an accountant will help you understand what the rules are. As with speeding, whether you stick to the rules is up to you. Is your accountant a passenger in your car, keeping an eye on your speed, or did you leave them at the last stop and are keeping him in the dark as to what speed you did? Tax evasion is breaking the speed limit, tax avoidance is using the dual carriageway bypass to get to your destination faster. When you are preparing your accounts or submitting your tax return, which route do you take to your destination? If ever I am asked about partnerships, one thing I feel strongly about is that a partnership agreement should be drawn up. Everyone knows how much upset and anger can happen when a couple get divorced, well the same can arise when a partnership has a change in partners. This can be dramatically reduced if something is put in place at the start. Also, it is not just about splits to, or extra partners joining the partnership, if one partner is unwell, or even worse dies, what will happen to the business then? If the partner was married does the remaining spouse want to continue with, and contribute to, the business at the same level as their late spouse? Are they technically able? If inheritance tax has to be paid, how will the business be valued? How will the tax be paid? On a more positive note, a simple point is how the profits are going to be shared. Does each partner contribute capital and actively work in the business equally? I had a recent call where I was asked what could be done. A client wanted to invest some capital so that her friend could carry out a project to enhance the value of the investment and then share the proceeds. One would get a share of the sale proceeds over the investment as reimbursement for risk and interest on the ‘loan’ plus the return of the original investment. The other would receive the remaining share of the sale proceeds over initial investment in recognition of their efforts for the increase in value. I suggested they sat down together to consider all aspects such as running costs, anticipated date of sale, what if something happened to one of them and then draw up a simple agreement and both sign it and keep a copy. My feeling was that at least they had documented their original intention as a starting point for discussions in the future. I have another client who, if they had done this when they entered a joint venture some years ago would not now be dealing with solicitor’s letters. It could have all been resolved four years ago rather than dragging on taking time and money to resolve. Even if all you are doing is asking someone to do some freelance sales work for you, it is worth writing out the expectations of both sides which should, of course, include confidentiality so you start with a full understanding of who is responsible for what and how the rewards are going to be shared. If you are already working with someone but have no agreement in place, it is not too late to create one. If you choose to involve a solicitor, save yourself money by preparing your joint list of things you feel need to be included before making the appointment. A solicitor may have a template but it will not include clauses specific to your business. Two or more people working together are usually stronger than the sum of the individuals. Two or more people fighting does not get the job done. If you feel it would be useful to have a facilitator to prepare the list of items to be covered, contact Wellington Consulting who would be happy to help. 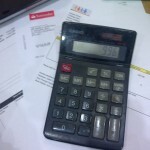 If you work from home, how do you calculate how much you can claim from the taxman? 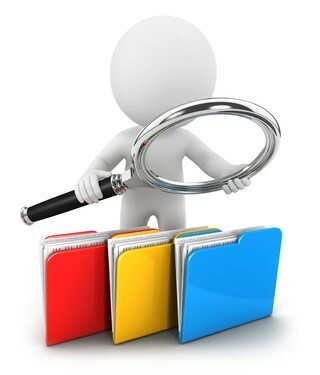 Over recent weeks, one of my clients has been experiencing a tax investigation. I am glad to say that he got the all clear, but in the meantime, I have had the opportunity to chat with a current tax inspector. When I thanked him for sharing some of the Revenue’s view of allowable expenses and what they look for, he said it was all part of the education process. Whatever the reason, I would extend a thank you. One area we spoke about was the claim for ‘use of home as office’. He took quite a tight rule on this. He was looking to see if other members of the family also used the room, whether the children had their own access to the internet or used the business computer. How much of the home was taken up with storing papers (or was everything scanned in and only taking up space on the computer). Were there outbuildings for the storage of materials and large equipment used in the business, or were they full of push bikes, lawn mowers and other domestic items. Although he was asking simple questions, you can see that the Inspector is only trying to establish the truth. Considering whether you are crossing the line between tax avoidance and tax evasion. If you issue one or two invoices a month for working at client’s premises, and it’s a long term contract so you are not spending hours surfing the internet for the next client, what percentage of internet/computer use is actually for work? How would you justify 100% business use? HMRC have recently brought out an option for claims like this called simplified expenses. You can use them only if a sole trader or partnership. If you want to claim use of home, HMRC will expect you to work for more than 25 hours per month from home. If this is all you do, you can claim £120 per year, 100 hours per month, and it goes up to £216 per year and 200 hours per month is £316. So, instead of the flat rate, you can start to calculate exact components, but this involves square feet, number of people, number of working hours etc. If you have staff coming in with their own key, this adds to the justification. The truth is, it is not easy to be accurate, but you must feel confident that you can justify the figure. This is a time when talking these things through with an accountant – and then documenting the method applied can be very useful. Have a look at your last set of accounts. Talk to your accountant before signing off this year’s. 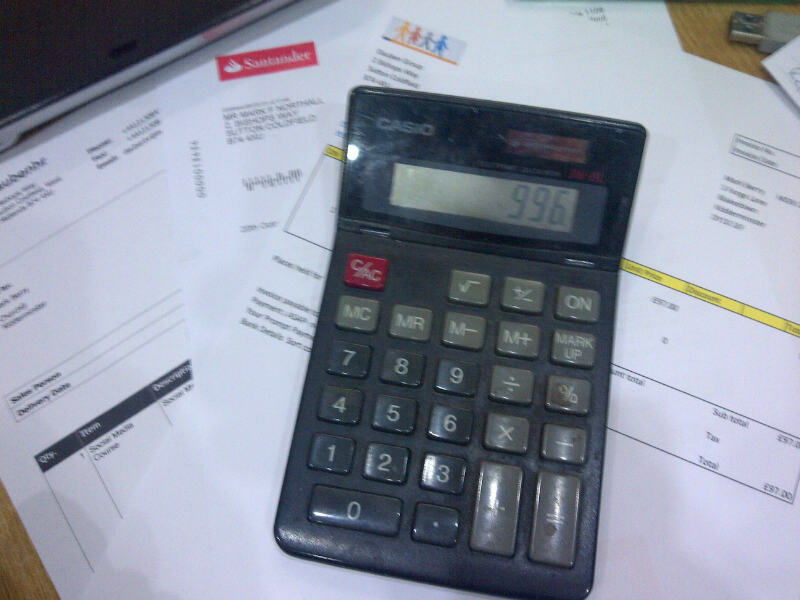 Remember it is your signature even if the accountant has calculated the figures! Please share your thought on this subject. This week has not been the most productive for me with issues of expected deliveries not happening, computers not playing and tax offices asking for what they already have – and me spending over an hour on the telephone (mostly on hold) to read HMRC what they had been given two months ago. I am sure you have had weeks like this. You get to Friday and wonder how much money the business has made as a direct result of your efforts. Other weeks the opposite happens, I get through to the tax office within a couple of minutes, speak to a nice helpful person at HMRC who suggests they can do something for the benefit of the client before I even ask it. Clients turn up to an appointment with their cheque book in hand and request to settle their account at the end of the meeting and then agree the date of the next meeting – so it is not they want to dispense with my services! Others send an email the same day as I send them the invoice, saying they have transferred the money into the company bank account. Which sort of week would you rather have? What has this got to do with making a loss? The fact of the matter is that life is not perfect and by accepting this, you can build in ‘slack’ to cover the cost of repairs, the lost time, the extra staff salaries. When some new business owners come to me, they have worked out their expected revenue without appreciating the time needed to do marketing, administration, documentation and other roles that may have been done for them in a corporate environment. Even in larger firms, senior staff seem to think that preparing for an exhibition and attending it can just be done in addition to the usual work. Staff cannot be making sales calls while driving to and assembling a stand. When looking at costs, the set up day needs to be taken into account as well as fuel, accommodation etc. As with much of business success it is all down to planning. Plan for the unproductive time and associated costs and base the sales required on having to cover these costs as well as those of the ‘good’ sales. If you do this, you will avoid a loss and if the worst doesn’t happen, you can make an even bigger profit. If you need help in identifying costs you need to include in your plans, get in touch. If you want to share some of the hidden costs you have discovered, please reveal all below. How Can you afford it ? Depending on the answer to these two questions, you can then decide whether to even think about how to fund it. A very simple and small example was a purchase I made at the weekend. I am a latecomer to iPhone’s and have historically logged my mileage in my diary so I could make a claim at the end of each month. Sounds good as I always have my diary with me so can easily enter the mileage. Trouble is, you run out of space against the day; although I keep my diaries, it would be hassle for the taxman to go through and agree my monthly claims even though I do circle the numbers for easy reading. However, one of my clients has been using FYI Mileage and sending me the sheets each month. I splashed out £1.99. I can now tell you I have done 12 trips amounting to 143 miles since 1st July. By recording 27 more miles than I would otherwise have remembered to claim for, I have covered the cost by the reduction in Corporation Tax I will have to pay. I am sure I will manage this by the end of July. So, return on investment one month maximum. I know this is a minute example, but I also placed an order for a stand at The Business Show at Olympia. This is costing nearer £3,000. Same rules apply. What do I need to ‘sell’ at the show to recover the cost and cover my, and my staff’s, attendance and travel and accommodation? I have done the maths and happy that we will bring in revenue that will exceed the costs. So the next question is cash flow. How do I pay for the show before I get the money from the sales? The answer is I agree a payment plan to spread the payments. The salesperson was amused that when I had said that my business is training clients in the area of understanding their finances, that I was demonstrating exactly the same to him regarding my own. Justifying why I was not prepared to pay it all today, or even all within 30 days when the show was not until November. That I could use much of the cash not paid up front to generate the income that would allow me to pay the balance prior to the show. A mutually beneficial timing was agreed with the condition that I would be included in all marketing even if they had not received full payment. I have got caught out by that one before. 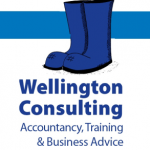 So watch out for Wellington Consulting links in The Business Show marketing. I also hope to see you at stand 160! So what have you bought recently that you first thought you could not afford until you worked out the benefits? How did you finance it? Please share your ideas so that others can enjoy accounts and grow their business.